Samuel Gregg's new book demolishes the myth that faith and finance are incompatible. 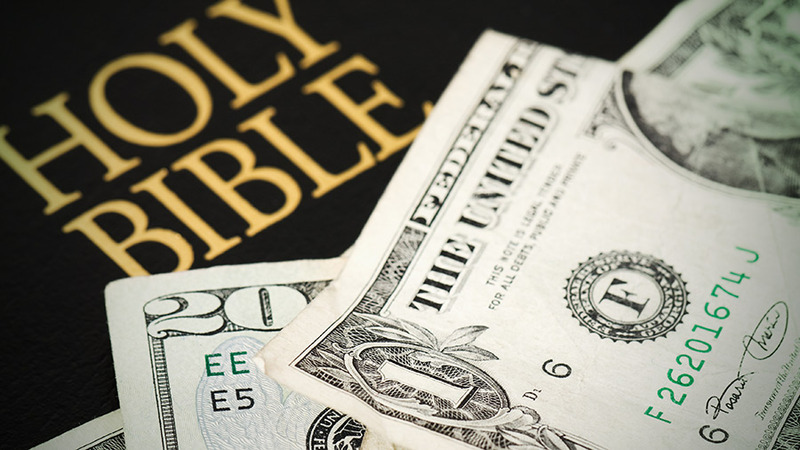 When it comes to the world of finance, Christians often hear that certain words should never be mentioned together in polite company: God and profit; Christian and capital; faith and finance. Indeed, Christians enter into a kind of paranoia when asked to adopt positions that seem to question the abyss between God and mammon. Samuel Gregg’s new book, For God and Profit: How Banking and Finance Can Serve the Common Good, is an excellent step toward establishing much-needed balance in the debate. It is not an easy task. The Christian involved in finance is too often seen as leading a kind of double life. He must be outwardly Christian, generously giving to charity as if to cover for his other life, which people see as anchored in greed and self-interest. Many Christians further assume the abuses of finance are characteristics of the field. Perhaps worst of all, many hold the unfounded conviction that Christian life and society might be run idyllically, without finance. At best, finance is a necessary evil. But Gregg is unafraid to confront these issues directly. He establishes the fact that there is no contradiction between finance and Faith. Finance is a necessary good when done with justice, prudence, and temperance. Indeed, the office of providing and facilitating the means for virtuous life in common can be not only a service but also a vocation. Early in the book, Gregg establishes that profit through finance can be realized “provided that God comes first and that the profit is (1) understood as a means to an end, (2) never seen as an end in itself, and (3) used to serve rather than diminish, what Christians understand as human flourishing.” If these criteria are met (and that is a big “if” in today’s frenetically intemperate economic climate), then finance is a needed social good. Gregg’s big “if” is the foundation of his theory of sound Christian economics, which must always be seen in a moral context. Inside this framework, economy would certainly be a lot different and more temperate than it is today. However, it would also be much the same. That is one of the merits of Gregg’s work. It deals with the realities of doing business as it exists today and projects how they can be practiced morally. Such considerations are not often recognized by Christian thinkers who construct economic theories based on the limitations of personal economy and household budgets, however worthy they may be. He shows for example how capital is crucial to the very possibility of doing business now, and even in the booming medieval economy. Gregg convincingly enters into the always-controversial issue of interest and discusses the conditions under which it might be charged, especially in the context of business transactions. While the banker’s vocation is secondary in the order of things, it is paramount for the functioning of society. Gregg cites an address by Pius XII to bankers in which the Pontiff highlights the public good that is done by making money productive. The social function of the bank facilitates savings, investment and production. The banker’s vocation is to prevent a situation in which money is left useless in a world that can make use of capital to help the poor and benefit the common good. Perhaps the most interesting observation of the book is that finance helps people practice the virtue of magnificence, which Saint Thomas calls the virtue of “that which is great in the use of money.” The virtue of magnificence is part of the cardinal virtue of fortitude, which leads one to undertake splendid and great projects without being discouraged by their magnitude, difficulty, upkeep, or expense. It is this virtue that draws people out of themselves and expands the possibilities for all to grow, looking to God and others. The virtue of magnificence led the faithful to build the great medieval cathedrals. It led missionaries to undertake great expense and suffering in bringing the Faith to faraway lands. Genuine progress rests upon those who are willing to take risks to make the world better and holier. It is a much-needed virtue since magnificence is incompatible with mediocrity and souls incapable of dreaming with grand endeavors. The importance of Gregg’s work lies in demolishing the false myth that finance and the Faith are incompatible. He shows how the principle fight is not economic, but moral. Everything depends on his big “if” that puts economics in its proper balance and perspective. Once a moral framework is guaranteed, the possibilities that facilitate the practice of virtue in common — human flourishing— are limitless. Under God’s loving providence, men are then free to dream with magnificence.